Tighten the 10mm bolt/screw for the starter shield to "snug." 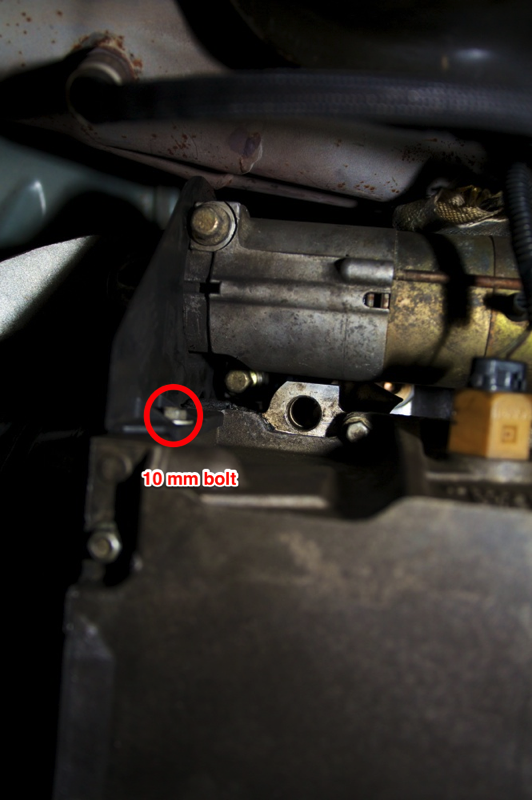 I can't find a specification for this bolt in the manual. 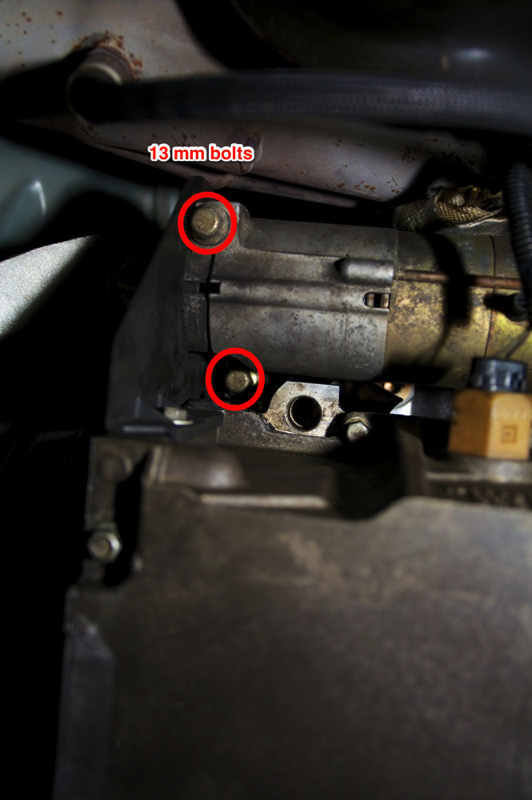 Tigthten the 13mm bolts to 37 ft-lbs (GM Service Manual 1999 6-737).